No love for the NW. So NW is probably last because it's one the most complex areas of the beltline with rail yards, and will have one of the greatest transformations, The NW is going to end up with the city biggest park, and the beltline cuts through the growing West Midtown neighborhoods. and there a lot brownfields in the area more than any other part of the city. I wish they'd go ahead and bring the Silver Comet down. Even if it only comes as far as Moore's Mill (I'd love to say Collier, but that's probably too close to Howell Yard). That track is nothing. This is the only place it connects to anything north of Howell Yard. The kudzu and other weeds conceal a hidden array of hazards. "Behind the kudzu there’s literally a 30-foot drop, so you can’t see the corridor itself," said Catherine Owens, the Principal Civil Engineer for Atlanta BeltLine Inc. "That puts people in danger of falling." Owens says the BeltLine is now seeking contractors who can spend the summer fixing the hazards – unseen ones, like erosion hidden below the weeds – and others hidden in plain sight. "Yes, don’t lean on the railings," Owens warned, referring to railings that parallel the tracks on bridges and trestles. "None of those railings have been tested," adding that it appears many of them "are not particularly secure." She says the goal is that by next spring, this new southern loop of the BeltLine will be safe to walk. But until then, it’s technically called "trespassing." The Beltline is seeking statements of qualifications from firms to design the second phase of Boulevard Crossing Park, a five-acre Chosewood Park green space with athletic fields that opened in 2011 along the southern stretches of Boulevard, officials said Thursday. 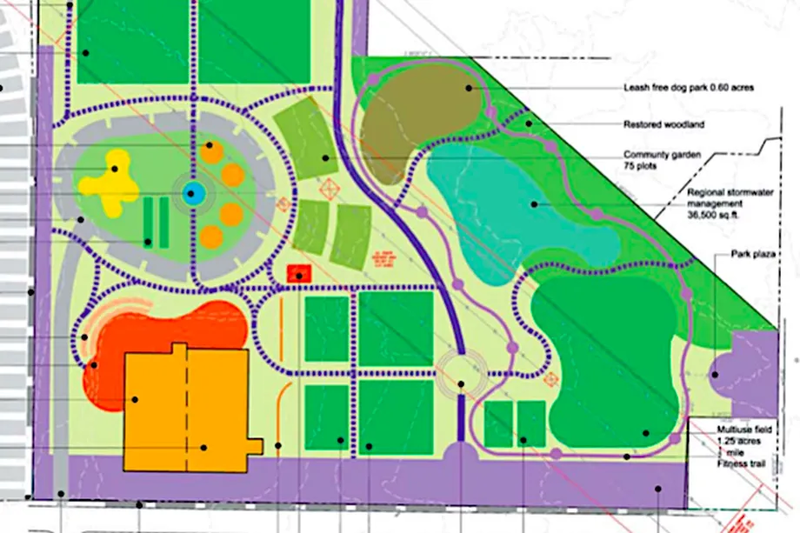 The next phase will boost the park to 23 acres and implement trails, a playground, public art, expanded fields, and the city’s fifth splash pad, joining others from Piedmont Park to nearby D.H. Stanton Park. Projection of $70M to build Southside BeltLine Trail. Now, as officials finalize designs and work to find construction funding for the potentially $70 million stretch of new Beltline—ABI did not earn a $16 million federal grant to help build this part of the path—crews are uprooting railroad tracks, access points are being added, and the Southside Trail is being transformed into an interim hiking trail, Beltline leaders tell Curbed Atlanta.